For a long time, the idea of a hanging basket was on my mind, but couldn’t find the right yarn. I usually work with a blend of wool and alpaca yarn. Although great and soft it wasn’t right for this project. The fact that is so soft actually, made it all wrong. The basket needed to be sturdy enough to hold things on the inside and to hold its own weight up. With the beautiful wool yarn I was using I had to go down lots of sizes on my crochet hook and maybe use a double strand, but even then it didn’t work. It just wasn’t right. I needed something containing some acrylic in it. The local shops in my town don’t have lots of variety and it was quite a difficult task. 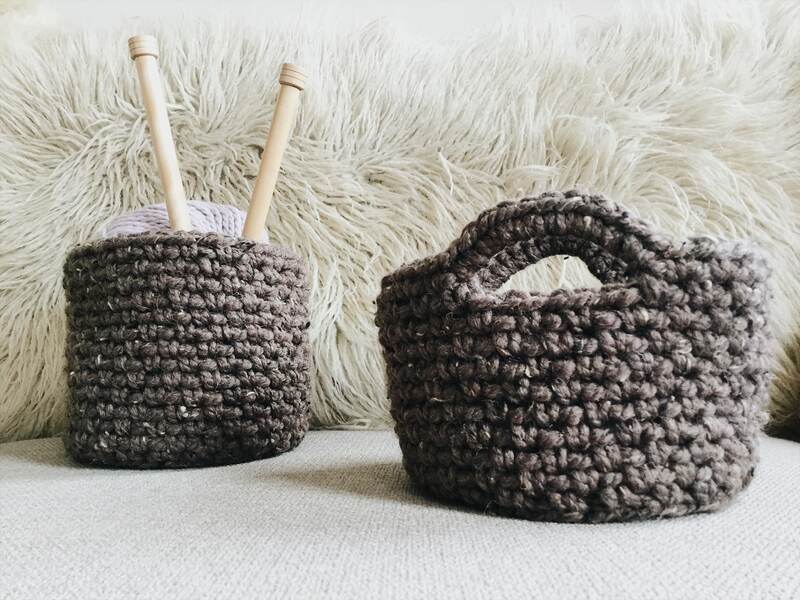 I wanted a yarn that was also a bit bulky, so that my baskets will work up quickly and have big, nice stitches, instead of squeezed small ones. No luck with local yarn shops, then. I had to search online. After a small research, I found this bulky James C. Brett Rustic yarn! And I so much love rustic! And tweed! I cannot offer the same variety of colors as I would have with the wool yarn, but rustic works great for now! After some thought, I chose some of the neutral shades online and waited for it to arrive. Luckily enough, the shop I ordered it from is our neighbor town and it arrived pretty fast. 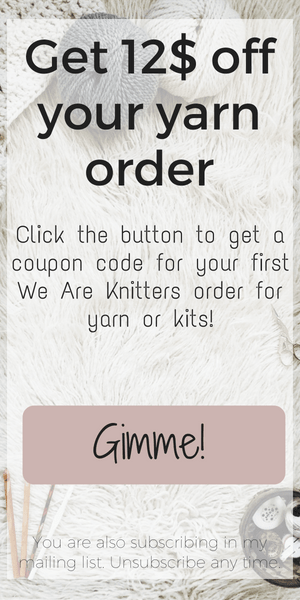 The only thing that bugs me with online purchases is the anxiety of “Will I have enough?”. And “What if I need more?”. Setting aside these minor nuisances was the best thing I did. This yarn is so precious and so bulky that works up like a charm! It was exactly what I had in mind for the baskets. If you knew anything about me, you would know that I am a bit indecisive! What started as a hanging basket became a set of two baskets. A table basket with two handles and a hanging one with a single handle. I liked them both so much that could leave the one behind. 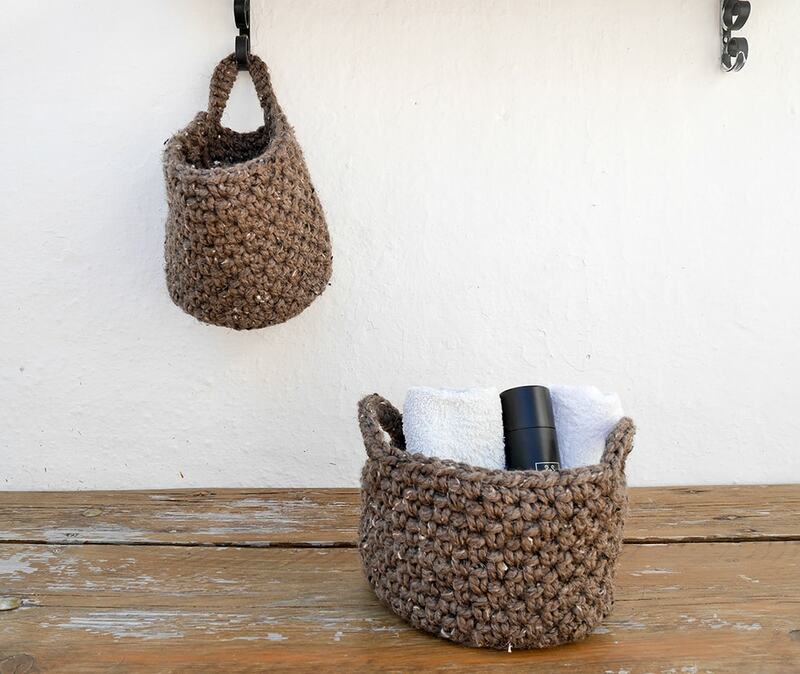 These baskets are a great addition to a farmhouse décor or a rustic cabin. Or, that is the places I picture my baskets hanging out. Originally I have thought that they would be of a great use to a bathroom. 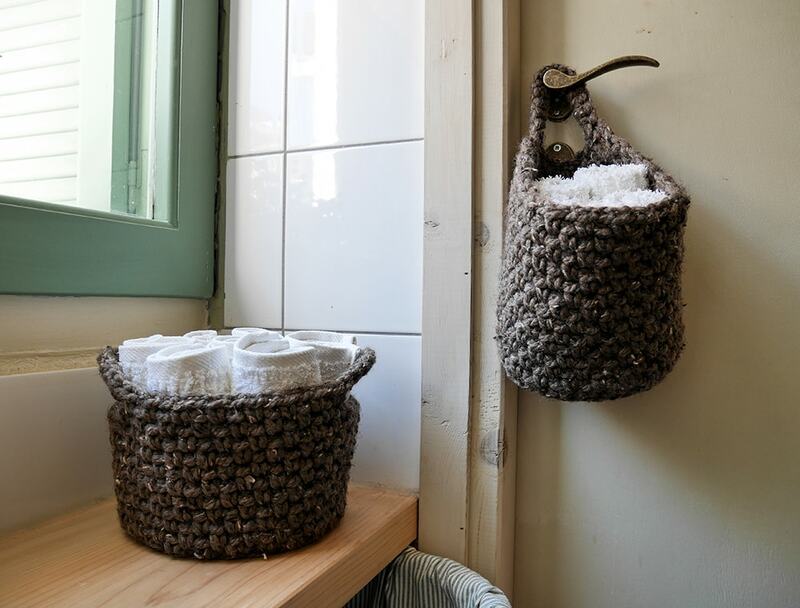 Small hand towels and toiletries would fit nicely inside them. 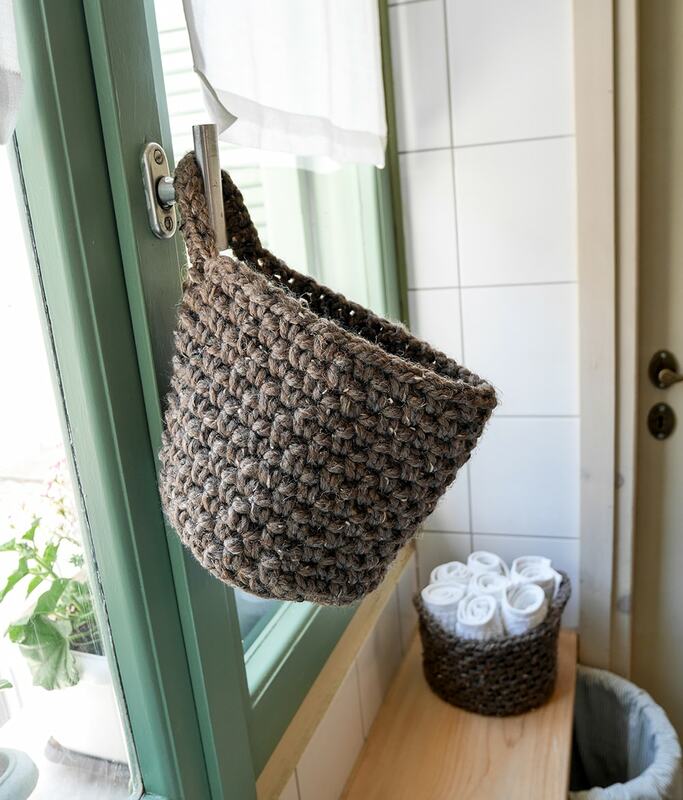 You can also use them in your bedroom for your everyday makeup stuff to live in and your scarfs to hang on the door knob, for you choose one on your way out. A great place also to gather your kids’ toys in! You know, all that little bits and pieces that are scattered everywhere in the house? Bonus points if your child can pick them up and store them by itself! Another use that I haven’t thought and was suggested by a lovely customer of mine was the kitchen! She likes to put fresh fruit in the table basket and leave them at the kitchen table for everyone to grab one! What a great use, decor, and healthy lifestyle, combined all at once! You can grab the set of the hanging and table basket here. Or you can make your own by the grabbing the pattern, here.